Starcom’s line of products can be applied to a wide variety of uses and activities. An activity which is quite popular during the summer is sailing, a journey that might hold many risks and challenges. But our products are certainly up to the challenge. Helios TT is a compact easy to use tracking system, which is the affordable and comfortable monitoring solution for vehicles. Its waterproof casing makes it the ideal track and trace system for marine vessels while they’re within cellular coverage. 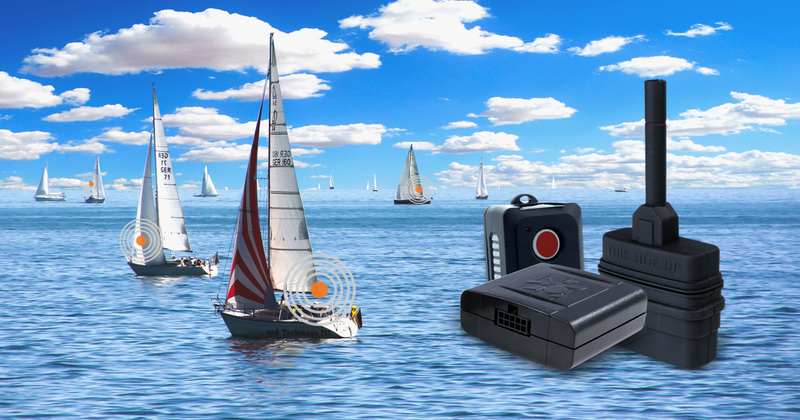 It is a good idea to set sail with Helios TT, as it keeps you safe and connected throughout your journey at sea. Another solid solution is our Kylos Compact. This standalone personal tracker can be used to track almost anything and without any wires and installation needed. We supplied these products into this challenging aquatic test: The Morbihan Challenge! This sailing event is taking place in southern Brittany and has a very simple set of rules: Sail from Vannes to Hennebont and back with a stopover of 12 hours, without motor, without assistance, solo or in a mixed crew. The Morbihan Challenge provides participants with freedom to experience it the way they please. They can set their own departure time and can make several attempts at the challenge in the course of July and August. The challenge is an adventure to share through video and photos and a true personal challenge to each of its participants. The challenge began on early July and set course from Vannes to Hennebont rounding Houat, then Hennebont-Vannes rounding Groix. The goal is to get there and set a reference time for your boat category. The event is inspired by “Race To Alaska”, an unparalleled course and format between the islands, at sea and in the river. There is no trophy or money to be won in the Morbihan Challenge. All there is to win is the pride of having conquered the challenge as quickly as possible! During the months of July and August, witness the sailboats strip off their engines and have their crew engage in intense rowing, sculling and paddling, to navigate their way through a course which mixes rivers, wide and inland sea. Such a challenge can pose a fair amount of risk and danger to its participants. Being able to monitor the boats in real time, is an ability with a high importance and this is where we come in. Starcom Systems proudly sponsors the Morbihan Challenge and has supplied the event with its products to enable the live tracking and tracing of the participating sailboats. If a participant is suddenly faced with a security issue, there will be an instant location indication of the boat and thus the proper response can be dispatched. The live tracking is done through our Starcom Online and Olympia Tracking mobile application. The strengths of Helios TT and Kylos Compact made them the perfect products to assist in the Morbihan Challenge. Take advantage of these strengths and offer these products to your customers. Providing an aquatic tracking solution will enable you to reach new markets!